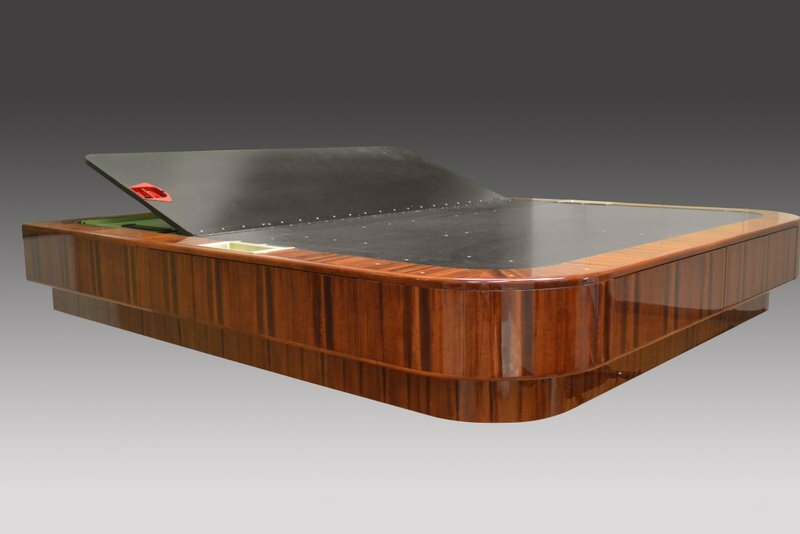 Aircraft Beds by JBRND are constructed from a combination of composite and metal structures. These are easily adaptable to any size aircraft no matter the location. JBRND offers both single and a double articulating beds along with countless design and finish options. Unlike small, tuck-away, inflatable types of inflight bedding, these are fully installable standard-sized beds with single and double articulating options. We also offer a full range of design and finish options along with custom safety and storage capabilities. Our single bed articulates the back rest, while the double articulates both the back rest and the long side. 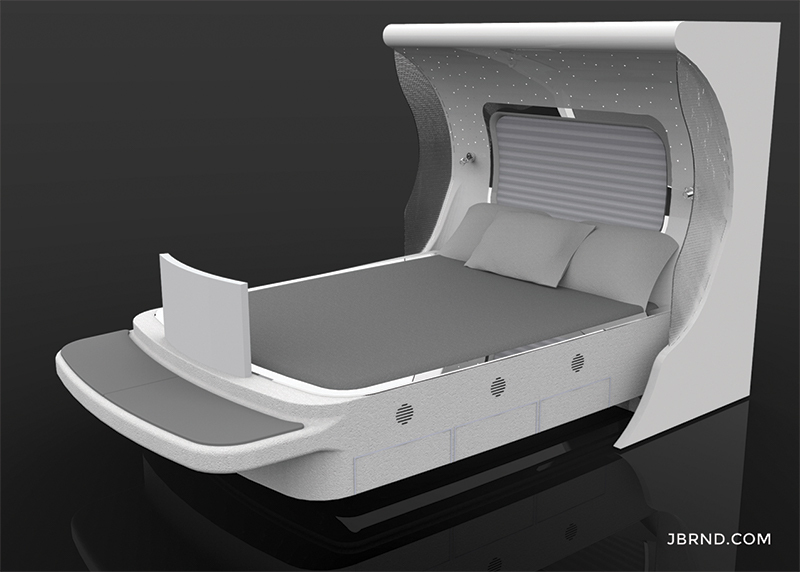 This allows the bed to level itself based on the angle of the aircraft in flight. 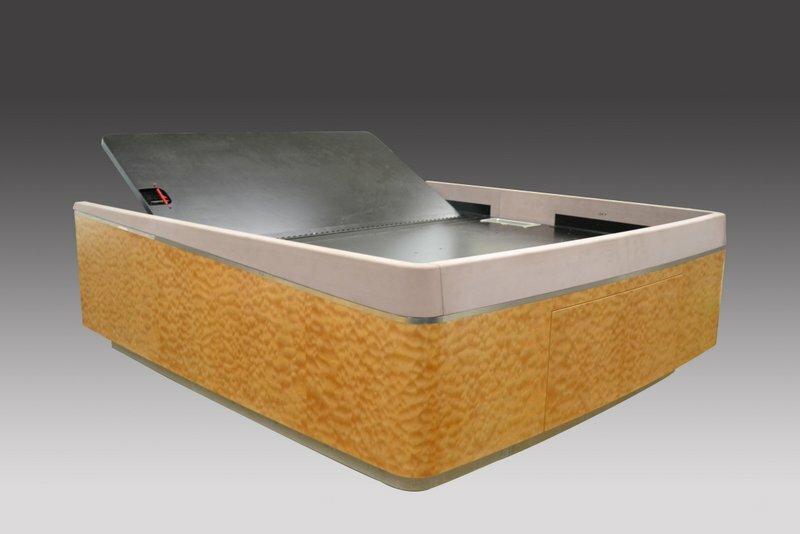 These beds can feature any type of custom decorative shroud whether upholstered or veneered. 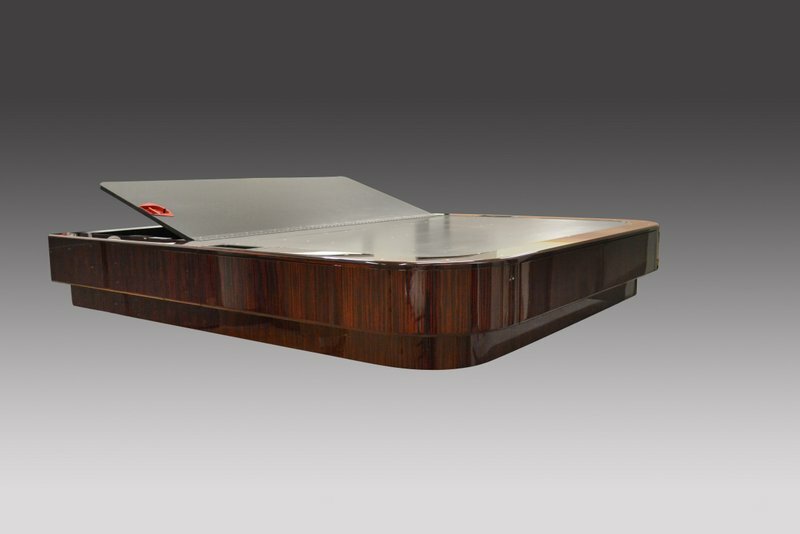 Shown here is a self-leveling, dual actuating bed featuring 6 cabinets, hidden storage, reading lights, a fiber optic starlight headboard, 6 built-in speakers and a curved flat-panel TV lift. If you can imagine it, JBRND can probably build it in-house at our San Antonio facilities. 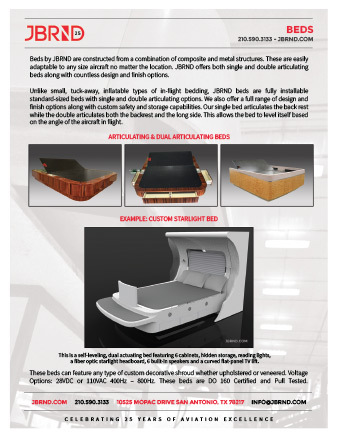 Get the JBRND brochure for our bed products. The brochure is one page, in PDF format, ready for printing. If you are interested in any other JBRND brochures, make sure to visit our Downloads Section, where there are many others available. As always, just get in touch if you have questions. Rest assured, JBRND looks forward to discussing your bed project. Get in touch with us today to get more information by clicking the button below.